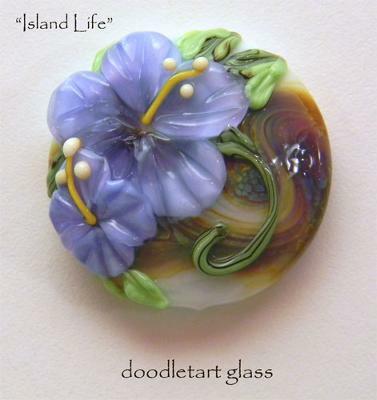 I make and sell individual lampwork glass focal beads on my website and sell sterling silver and lampwork jewelry at Art Festivals around the country. 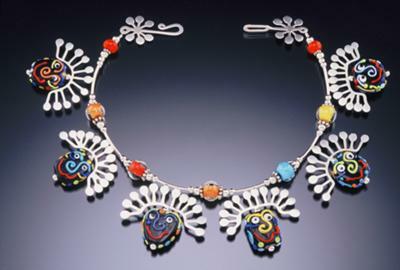 Joe, my partner, makes all the sterling silver armatures for the jewelry. We make a great team! 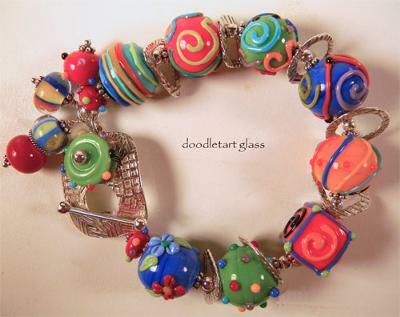 I love Doodletart Glass beads! And I own a whole lot of them...I call them 'my little doodletarts.' 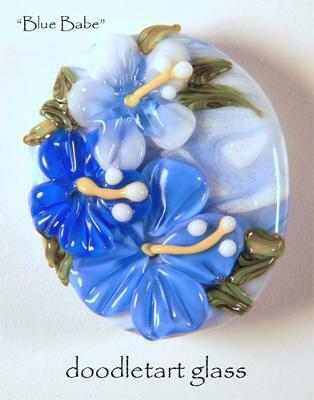 My favorite flower is the hibiscus and she just does such beautiful hibiscus beads that I can't resist :) She doesn't only do hibiscus beads though...you can find dragonflies, flamingos, seahorses, peacocks, trees and lots of other great designs. You'll never be disappointed when Susan's beads arrive in the mail! They're absolutely gorgeous. And she is a wonderful person, too. Thank you so much, Susan, for sharing yourself and your work.